Are you searching for a USA Schnauzer Rescue Organization? There is quite a large number of rescue groups in the USA. This is both good and bad. 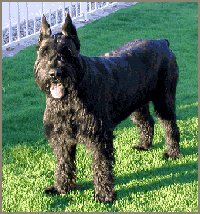 On the one hand it means there are a lot of devoted people who care about these dogs, the rescue centers are manned by dedicated volunteers who give up their time to help rehome Miniature, Standard and Giant Schnauzers. 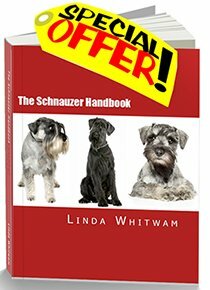 Schnauzer Rescue - the Facts. *Schnauzer adoption is NOT a cheap way of getting a purebred dog and shouldn't be viewed as such. It could cost you several hundred dollars. You'll have adoption fees to pay and often vaccination and veterinary bills as well as worm and flea medication and spaying or neutering. Make sure you're aware of the full cost. *Schnauzer rescue dogs may not be suitable for families with young children. The dog may be jealous of the attention given to the children or may not like being handled or teased a lot - especially at first. *Many rescue dogs have had difficult lives. You need plenty of TIME to help them to rehabilitate. *Some rescue Schnauzers have initial problems with housebreaking. Others may need socialization training with people as well as other dogs. *If you are serious about adopting a Schnauzer you may have to wait until a suitable dog comes up. *It is not just the dogs that are screened! You'll probably have to undergo a screening by your chosen Schnauzer rescue organisation to make sure you can provide a suitable home. You might have to provide references too. Hopefully, you will pass any tests with flying colours, but it's best to be aware of possible drawbacks at the outset. We've carried out a lot of research and contacted many USA Schnauzer Rescue groups so we're now able to provide you with a comprehensive list of Schnauzer Rescue organizations or invividuals in your area. Covers Massachusetts and the whole of New England. We are based in Cincinnati, OH, United States, but also have a branch in Florida and members in West Virginia, Kentucky and Missouri. Looking to Rescue or Re-Home a Schnauzer? Sorry, we are unable to re-home Schnauzers. But we do from time to time have people who contact us to say that, either they have a Schnauzer to re-home or, more likely, they are looking to rescue a Schnauzer after theirs has passed away. If you are looking to rescue a Schnauzer in the USA or re-home yours, we recommend you contact the rescue organizations listed. If you still have no luck, then post a request here. It may be seen by other Schnauzer owners who may be able to help. Entering your submission is easy to do. Just type. Then write a few lines giving a few more details and an email address where anyone who might be able to help can contact you. Bear in mind that it is always good advice not to post too many personal details on the internet. Just a few brief details are enough. Please be sure to include the date at the beginning and your name (first names are fine), your town and state. Looking for young/adult mini- schnauzer, 16-20 lbs.